Fresh cauliflower used in recipes calling for potatoes has become a "thing". Cauliflower mashed potatoes, or "potato" pancakes or mock potato salad or soup...many, many options to increase your vegetable intake and decrease your carbs. Terrific idea, right? 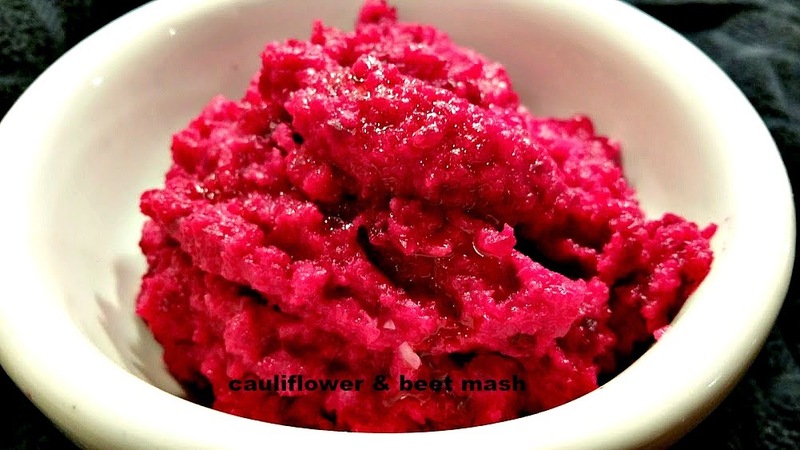 I decided to amp up the flavor, color, and nutritional aspects to a basic cauliflower mash and add roasted beets. The results were spectacular. Delicious, easy and, because I used almond milk and olive oil instead of cream and butter, healthy, vegan and low calorie.The chile-infused olive oil adds the perfect amount of heat. And what a gorgeous color. How cool is that? Enjoy. Preheat oven to 425 degrees. Place beets on a large sheet of foil. Drizzle with olive oil and sprinkle with sea salt and pepper. 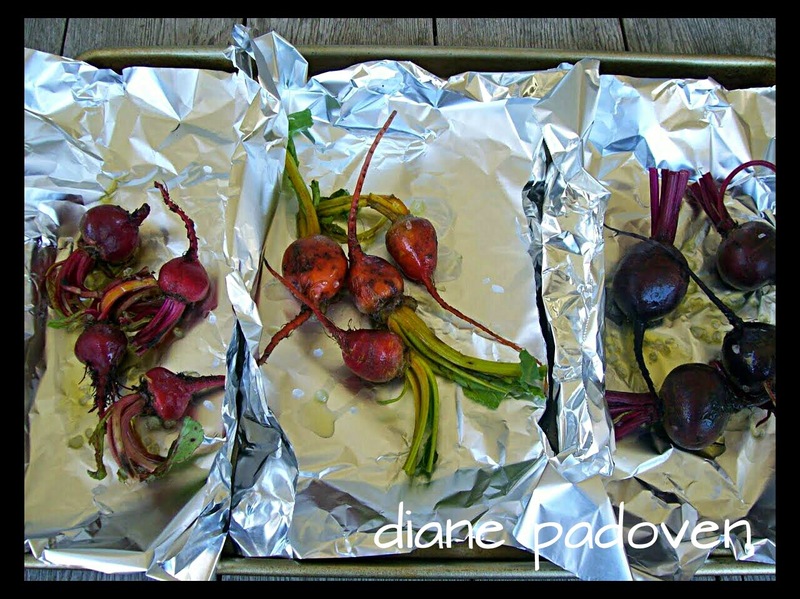 Tightly wrap the beets in the foil and roast in the oven until tender (1 to 1/2 hours depending on the size of beets. When done you should be able to easily pierce beets with a sharp knife. Remove from oven. Steam cauliflower until very tender (15-20 minutes). Again, you should be able to pierce easily with a sharp knife. Place cooked cauliflower in the bowl of a food processor and pulse until the texture resembles rice. Add the milk and 2 tablespoons chile-infused olive oil. Pulse until just mixed. 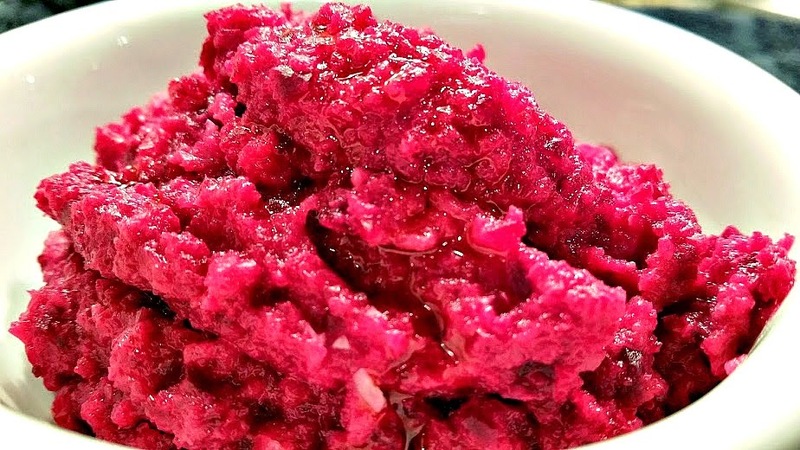 Add 1/2 of the cooked beets and process until just mixed. Season to taste with salt and pepper. At this point, you can add some to all of the remaining beets until you get the color you like. Taste and add additional chile oil, (or regular olive oil if you don't want any more spice), until you get the texture you like. Chunky or very smooth depends on your preference. Season again to taste and serve immediately while hot. Springtime means the start of sensational side dishes made from fresh, just-picked produce and this week at Food Network a we are celebrating Anything Mashed. Do you have a favorite mash recipe? Share in the comments section and link to your blog if you have one. Be sure to check out the delicious sounding recipes from my blogger friends and Food Network. I cannot believe that I first saw a version of this recipe back in 1994. Where does the time go? Gourmet magazine posted their adaptation of a recipe first created at the New York outpost of the Mesa Grill. (Sadly, Bobby Flay's restaurant closed in 2013 after 22 years.) I took the Gourmet version and make a few tweaks too but...truly...all the credit should go to Bobby Flay. Bobby's dish included chipotle and heavy cream. 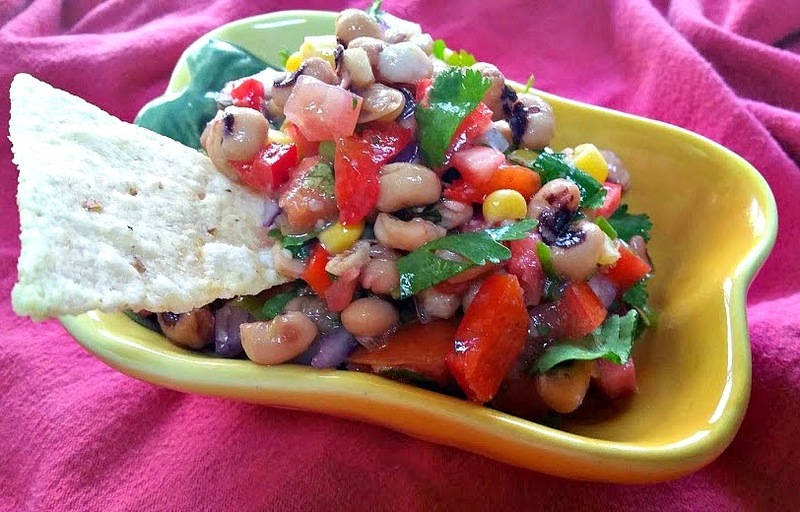 Gourmet lightened it up by eliminating the cream and using enchilada sauce. I mirrored the enchilada shortcut. 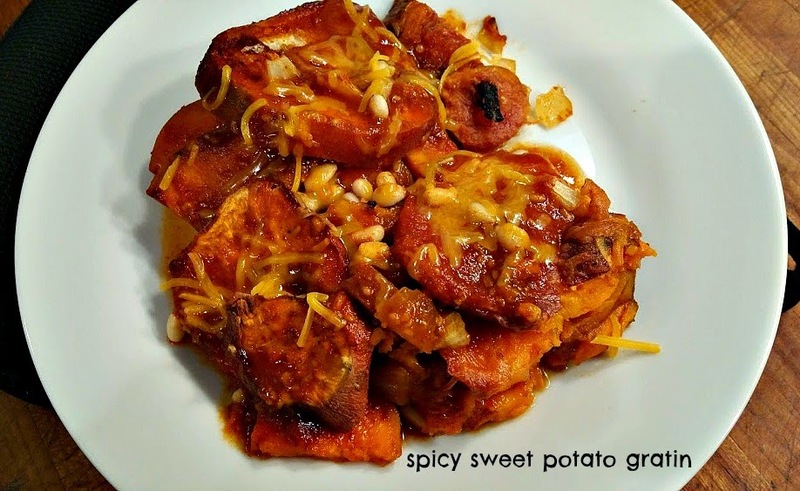 These sweet potatoes are delicious, effortless and can be served at a casual dinner, brought to a potluck or prepared for a fancy party. 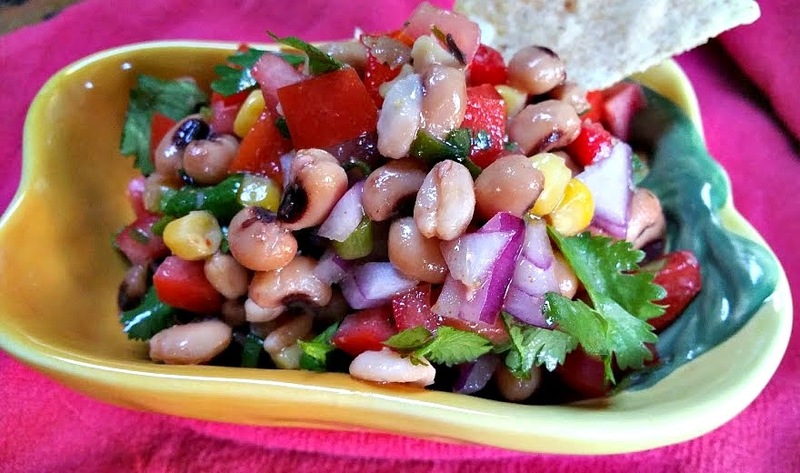 Offered as part of a Mexican food feast, or alongside roasted chicken, beef or pork, this dish is extremely versatile. 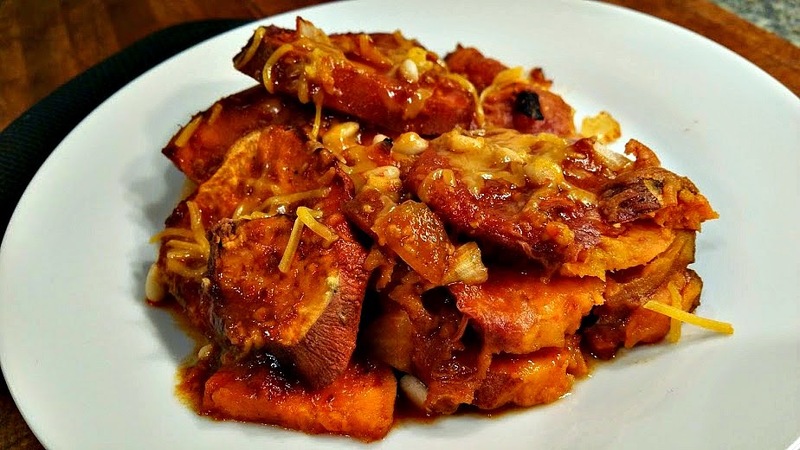 I have included the sweet potatoes as part of a brunch buffet with eggs, beans, salad and tortillas and have used the dish as the "potatoes" at Thanksgiving. Give them a try...they are so very good. Preheat oven to 375 degrees. Butter a 2.2 quart rimmed baking dish and set aside. Warm olive oil in medium skillet and add onion. Saute for 2-3 minutes until just beginning to soften. Add garlic and saute an additional minute. Add enchilada sauce and water, stir to combine, and cook over medium heat for 3 minutes. Remove from heat. 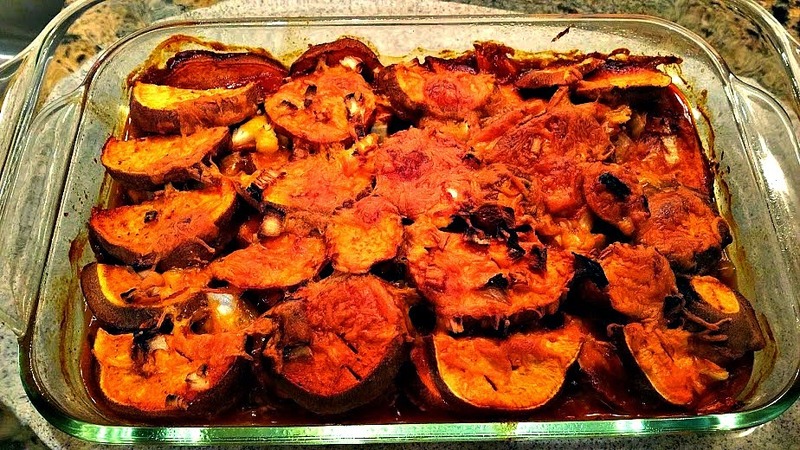 Cut sweet potatoes lengthwise into 1/4 inch slices. Cut large pieces (more than 2 1/2 inches) in half. Layer 1/3 of potatoes in bottom of prepared pan with edges overlapping slightly. Sprinkle with 1/3 of the cheese. Repeat steps 2 additional times but do not add last 1/3 of cheese to top. Pour sauce over top of potatoes ensuring all are coated and sauce seeps into layers. Sprinkle pine nuts over top of potatoes and remaining cheese over nuts. Set pan of potatoes on large rimmed baking sheet (larger than potato pan) to catch any drips. Place in preheated oven and bake for 30 minutes. Rotate pan and continue baking another 30-45 minutes, or until potatoes are very tender when pierced with a knife and cheese is bubbling. Remove from oven and allow to sit for 5 minutes. Serve immediately. Regular readers know I usually create the recipes I post. Sometimes I take a classic preparation and tweak the ingredients to make it my own. 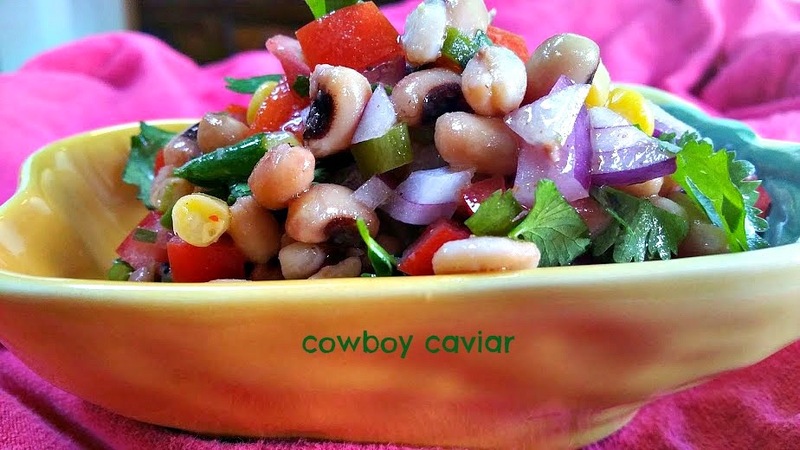 Today I am sharing a recipe I discovered in the magazine Chile Pepper. ( I author a blog called red or green? How could I not love a print version of everything hot & spicy?) 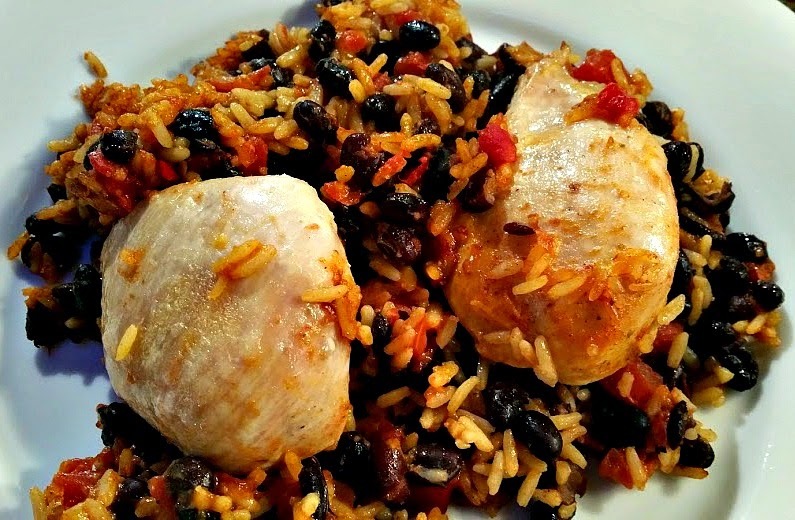 This dish is easy to prepare, delicious, special enough to serve to guests, and the leftovers make terrific burritos. What's not to love? The recipe below is basically exactly the same as in the magazine. My edits include adding butter to the oil for the flavor, using chicken breasts instead of thighs and adding sauteed onion and garlic. Not enough to do anything but give all the credit to Chile Pepper. Here is the link to their version. 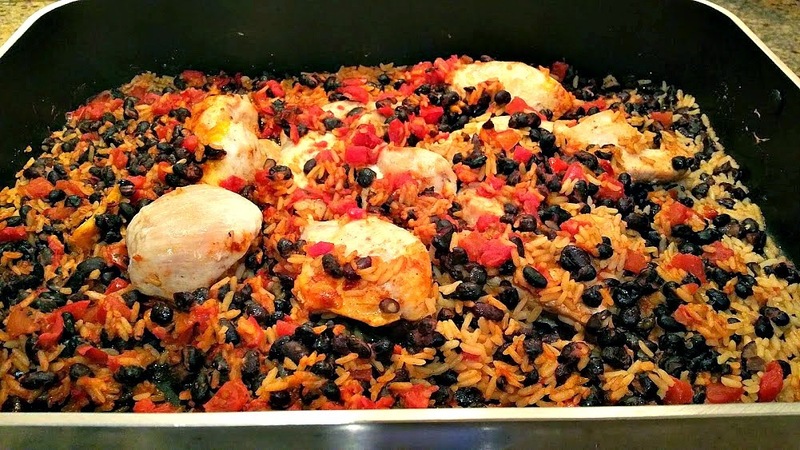 The magazine suggests using leftovers to make burritos "shred the chicken and combine with the rice & beans and serve with warm tortillas and sour cream". Sounds perfect doesn't it? Enjoy! Season the breasts salt and pepper.In a roasting pan over medium-high heat, warm the oil and butter. Cook the chicken breasts and onion (turning twice) until the chicken is golden brown on all sides and the onion is beginning to caramelize (approximately 5-7 minutes.) Add the garlic and cook another minute stirring the onion and garlic to prevent sticking. Place the chicken in the center of the pan. Add the contents from the rice package, the beans, tomatoes, cheese and water around the chicken. Stir to combine, then rearrange the chicken so the mixture surrounds it.